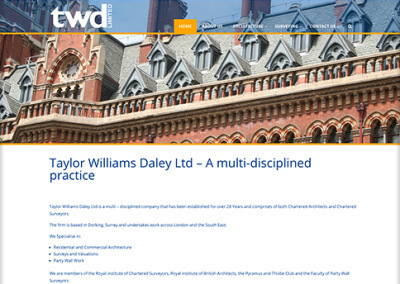 Taylor Williams Daley needed a new website to not only resolve out of date technology but also to address the need for a mobile friendly design. 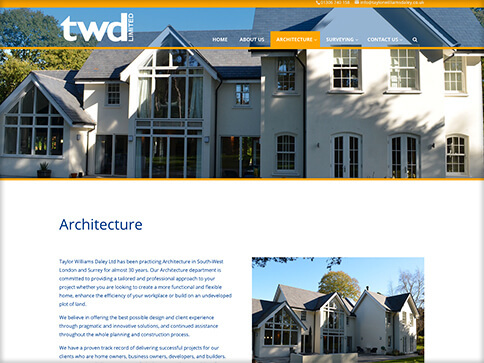 During the development process they where able to undertake a review of their services and adjust the website content to suit the direction they wanted the business to take. 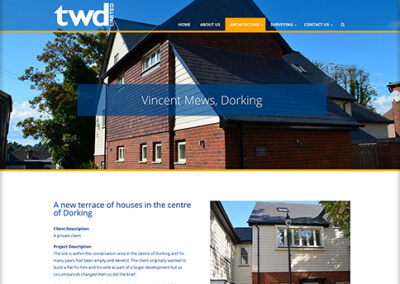 Since launching the new website, they have seen a substantial increase in the number of surveying enquiries which they did not receive via the old website. 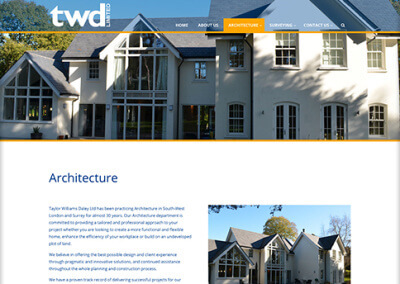 As a business providing both architectural and surveying practices it was important to display the content in an organised and eye-catching layout. Using WordPress for the main Content Management System (CMS) and an industry leading WordPress theme, we have blended the TWD branding to produce a clear, well structured and organised web presence. Using Mega Menus and organising the projects into sub categories the end user can clearly see the strengths and weaknesses of the company. 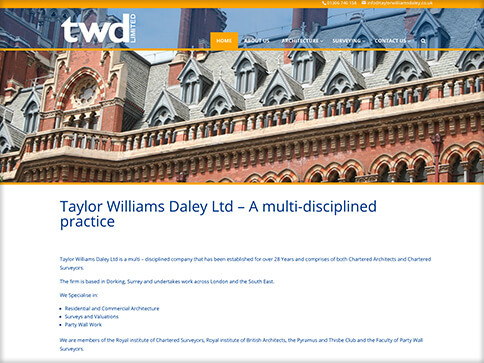 The use of large quality images brings the site to life and really showcases the variety and unique projects Taylor Williams Daley undertake. We continue to support and advise TWD with regards to adding site content, whilst also hosting the website and maintaining the site’s integrity.